A 500 calorie diet is a weight loss diet that requires you to eat only 500 calories in a day. It is very different from other calorie restricted diets in the sense that the amount of food you it is very little. However, with the sample 500 calorie diet, you get to eat healthy food that is quite satisfying which prevents you from getting hungry from time to time. this type of diet requires you to be very careful with what you eat since you are strictly supposed to stay within the 500 calorie zone in a day. The diet is very effective for weight loss. 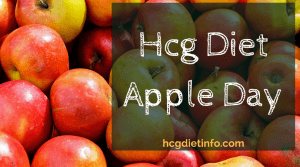 One of the most popular sample 500 calorie diets is the HCG diet. This diet has proven to be very successful for a lot of people. 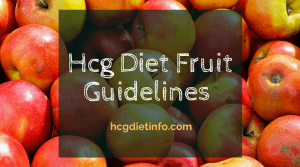 In the HCG diet, there is a phase where the individual is required to maintain a 5oo calorie diet. The diet includes very strict rules on the types of food the individual should eat. For breakfast, you are required to limit it to coffee or tea. Lunch and dinner contain a 100g serving of meat and some vegetables. The type of vegetables you get to eat are also restricted to those that do not contain a lot of calories such as cabbage and spinach. The same case applies to fruits; you can only eat low calorie fruits such as oranges and strawberries. 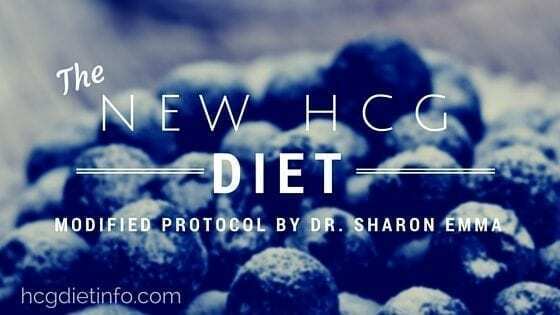 The HCG sample 500 calorie diet takes a period of 40 days where you are required to be strictly on a 500 calories diet at all times. During this time, a lot of people are expected to reach their weight loss goals since their bodies are at a caloric deficit and therefore use the fat stores as energy sources. 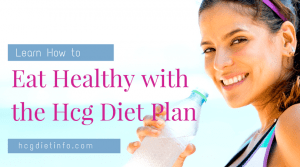 However, in the HCG diet, if you do not manage to attain your goals, you are advised to repeat the diet for another 40 days. However, you should repeat the diet after a period of 6 weeks where you make sure you are not on any diet. This is because the sample 500 calorie diet can be harmful to your health if done for a very long period of time. The sample 500 calorie diet is very effective for weight loss because it creates a very large caloric deficit in the body. Although the weight loss is rapid with this diet, it is very advisable that you do not overdo it since it is not healthy. Experts advise individuals to lose utmost 2lbs each week. This is the healthy way to lose weight. There are various side effects you should expect if you are on the sample 500 calorie diet. Nausea, constipation, dizziness and fatigue are some of the common symptoms. This is because the body is not receiving enough energy as it is required to. It is also possible to have gall stones which happen due to the presence of cholesterol in the gall bladder. In conclusion, although the 500 calorie diet is effective for weight loss, it is important for anyone with the intention to try it out to have medical supervison. Obesity is a problem that a lot of people face in society today. It is very difficult for an obese person to lose weight as fast as a person who is of the average weight and requires losing just a few pounds. In most cases, obese people may lose weight but it may still be difficult to notice the change since they still have a lot to lose. The sample 800 calorie diet is mostly recommended to individuals who have a Body Mass Index above 30. This is because a caloric deficiency enables their bodies to use up the stored fat as energy which contributed to weight loss. Generally, the minimum amount of calories men and women should have is 1500 and 1200 respectively. It is therefore advisable for every individual who intends to lose weight on the sample 800 calorie diet to seek medical advice and ensure that they are always on a medical supervision. This is because an 800 calorie diet is too low for the body. Medical supervision enables the person to be advised on different ways to cater for their energy deficits in order to avoid serious health problems as a result of very low caloric diets. Sample 800 calorie diet contains several features. First and foremost, the person is required to keep away from junk food and other high calorie content foods. In most cases, individuals on the 800 calorie diet maintain their energy from nutrition bars and shakes. There is strictness about the kind of foods a person on an 800 calorie diet can eat. For instance, they are supposed to eat lean meat only since other types of meat are considered bad for the health and weight loss. The types of fruits and vegetables eaten are also very well selected. They are chosen depending on how many calories they have. The fruits and vegetables with the least amount of calories are recommended. With the sample 800 calorie diet, an individual loses about 5lbs in a week. This is a very important for obese individuals because it enables them to be able to overcome different obesity related problems such as high blood pressure, diabetes and heart attacks. It is also important in boosting a person’s confidence and enabling them to keep up with the exercise and healthy lifestyle. Most people on this diet get drug treatments in order to prevent health issues. However, this depends on the way a person’s body responds to the diet. There are several side effects that should be expected when on the sample 500 calorie diet. It is possible to experience nausea, dizziness, fatigue and diarrhea. This is probably because the body is not receiving the right amount of energy it is supposed to. This is why it is advisable to have medical supervision when on this diet. Once you stop the sample 800 calorie diet, it is possible to regain all the weight lost since the body will respond to this change. It is therefore advisable to ensure you maintain physical activity and a healthy way of eating once you are off the diet. The sample 1200 calorie diet is the recommended diet for healthy weight loss. a reduction in the amount of calories consumed each day enables the body to experience a caloric deficit that leads to the body using up the fat reserves as energy which in turn leads to weight loss. The reason why the sample 1200 calorie diet is recommended by nutritionists is the fact that it is the diet that ensures you get all your nutritional requirements while still burning fat which contributes to healthy weight loss. With this type of diet, it is not necessary to have a medical supervisor but it is recommendable. The sample 1200 calorie diet requires you to know the amount of calories contained in each food you consume during the day. This is very important because it enables you to keep a caloric count that ensures you do not go beyond 1200 calories in a day. There are various books and different online applications that give caloric contents of different foods which makes it easy for you to count all the calories you consume. Other sources may guide you on how to measure different foods in order to know how much calories they contain. This is another way to keep a good calorie count. Sample 1200 calorie diet does not have any recommended foods. However, it is very advisable to maintain a healthy diet if you want to see great results while on this diet. For instance, it is advisable to avoid eating processed foods. This is because most processed foods contain a lot of ingredients which make them have too many calories which may make it difficult for you to do your caloric counts since most of them do not give the exact calories in the food. It is also advisable to ensure you eat fruits and vegetables more often since they are high in fiber and therefore keep you full for a longer time compared to other types of foods. It is advisable to engage in frequent physical activity while on the sample 1200 calorie diet. This is because physical activity enables you to burn more fat by increasing your metabolic rate. However, it is important not to engage in very intense physical activity. This is because the energy your body gets from a 1200 calorie diet is not enough to sustain long periods on intense exercise. Intense exercise on a 12oo calorie diet may make you experience dizziness and weakness due to lack of energy. There are various advantages you get from the sample 1200 calorie diet. First and foremost, it is a good way to lose weight as it creates an energy defcit in the body. The other advantage is that this diet is cost effective since it does not require any money unless you have to get a calorie measuring tool. Last but not least, this diet motivates you since you are able to lose weight with it. the only disadvantage of the sample 1200 calorie diet is the fact that it is tideous since you have to measure calories every time. In general, the 1200 calorie diet is highly recommended by nutritionist as a healthy weight loss diet. It is therefore advisable to start your weight loss journey on this diet. 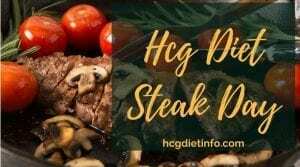 This is a sample menu for those following Dr. Emma’s hcg diet protocol, also known as the “NEW” hcg diet plan. 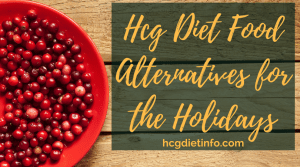 Now that you know how many calories you should be eating along with your HCG protocol, or at least you realize you need a significant caloric deficit in order to see the pounds melt away, you may wonder what you can actually eat. Ok, so we discussed the importance of adequate protein intake and avoiding calorie dense foods such as fats. We know you should avoid any processed carbs and eat vegetables regularly. But you may still be a bit lost as to your potential menu. Here are a few examples of ‘good’ foods that will support Dr. Emma’s protocol and help you stay full and happy while getting the bod of your dreams. When it comes to breakfast, Dr Emma points out that even though it’s not forbidden, you should wait till your body starts feeling hungry. After the overnight state of fasting you are burning more fat and you want to prolong that state if possible. Lunch can be tricky if you don’t plan ahead. If you are prepared and have a few healthy snack on you, you will be more likely to resist temptation that may pop up in your environment. Eat a large, satisfying dinner full of lean protein. It will keep you going until next day and help minimize cravings and snacking. Remember to count and record each snack. Dr. Emma to keep those under 100 calories to stay on track with your daily calorie count.